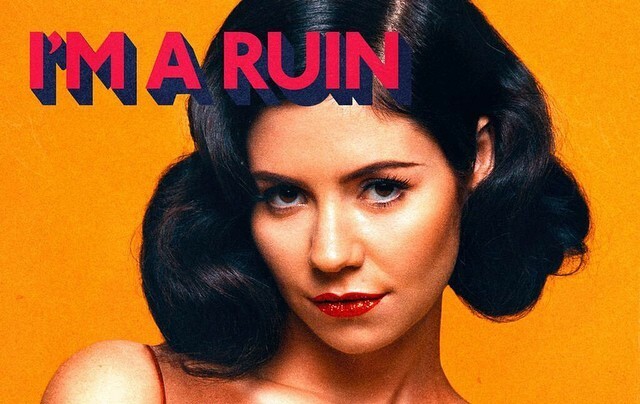 On February 4th the video for Marina and the Diamonds’ song, “I’m A Ruin” premiered. The single is the fourth “Froot of the Month” track off of Marina And The Diamonds’ upcoming third album FROOT, out April 6th. The video features Marina in flowing clothes, moving among a barren-rock volcanic landscape, underneath a color-changing sky. The imagery fits the more serious tone of the album, as compared to her more sugary songs from Electra Heart, whose videos are filled with bright colors and cute guys. The last clips of the video see Marina floating underwater, surrounded by radiating sea creatures. The dark tone of the video doesn’t make it ominous; just really lush and beautiful.